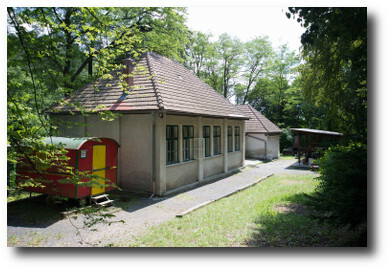 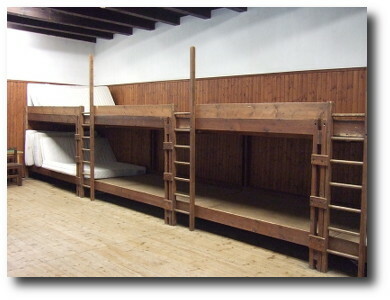 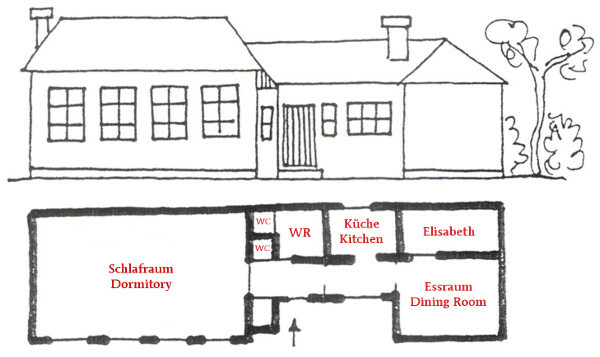 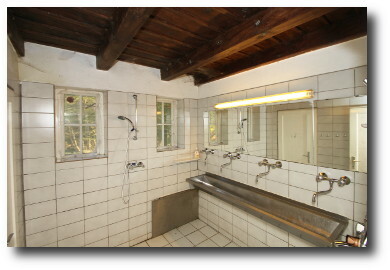 Beautifully placed at the edge of our forest and in the midst of our campsites, our guests will find the house of Waldschule Helenenschacht: the former school of the Helenenschacht settlement and mine. 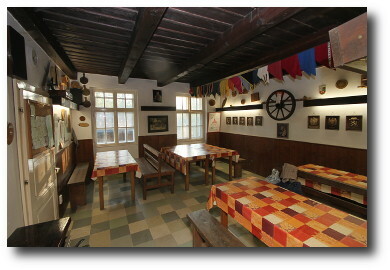 The house accommodates up to about 50 guests. 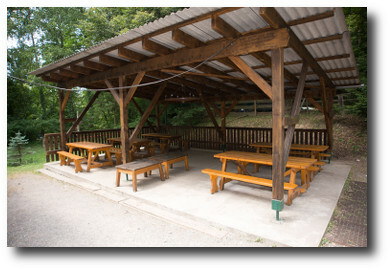 In front of the house, you will find a roofed patio of 40 m2 or 430 ft2 with tables and benches: the perfect place for all-weather eating, seminars and games in pristine nature.